This press release backs up previously leaked rumors about a possible Windows release in 2008. Since this still speculation and just a project road map dates are sure to be changed. Especially with Windows 7 still being digested by the market, it might be just too soon for Microsoft to introduce Windows 8. 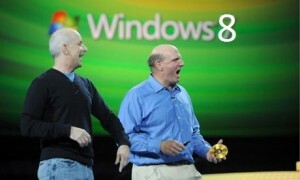 However Windows 8 is said to be completely touchscreen and tablet oriented with smooth GUI’s like Apple’s iOS.